When I checked Wikipedia I got the information that Domenico Modugno (9 January 1928 – 6 August 1994) was an Italian singer known for his 1958 international hit song “Volare”. It received two Grammy Awards with sales above 22 million copies, and represented Italy in the 1985 Eurovision Song Contest, where it came in third. 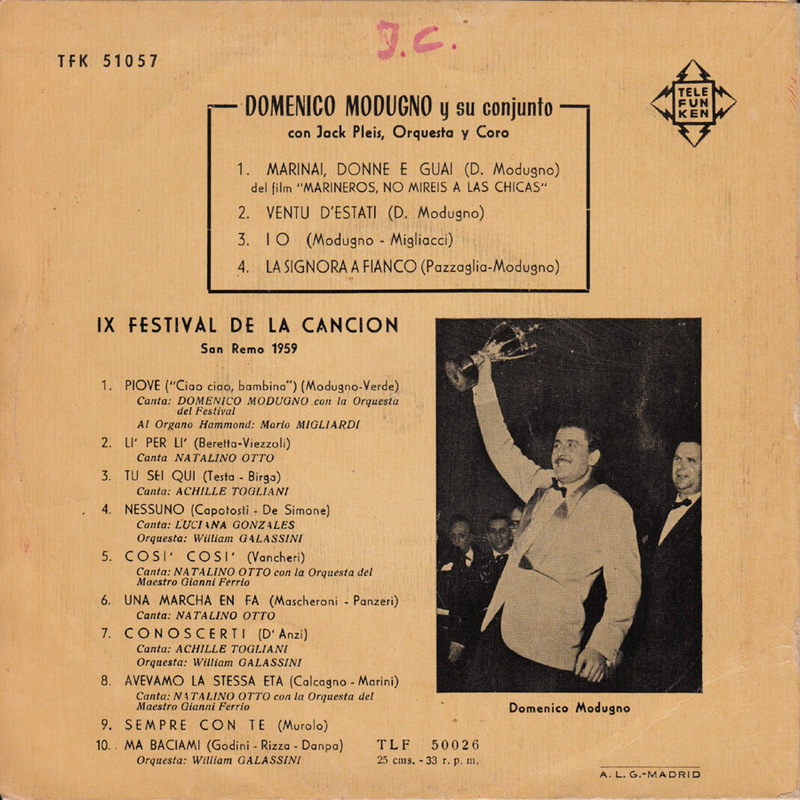 Modugno was an actor in 44 movies. In 1987 he was also elected congressman as a member of the liberal Italian Radical Paty. But to be honest I had never heard of him before I bought this EP in Lisbon a couple of weeks ago. 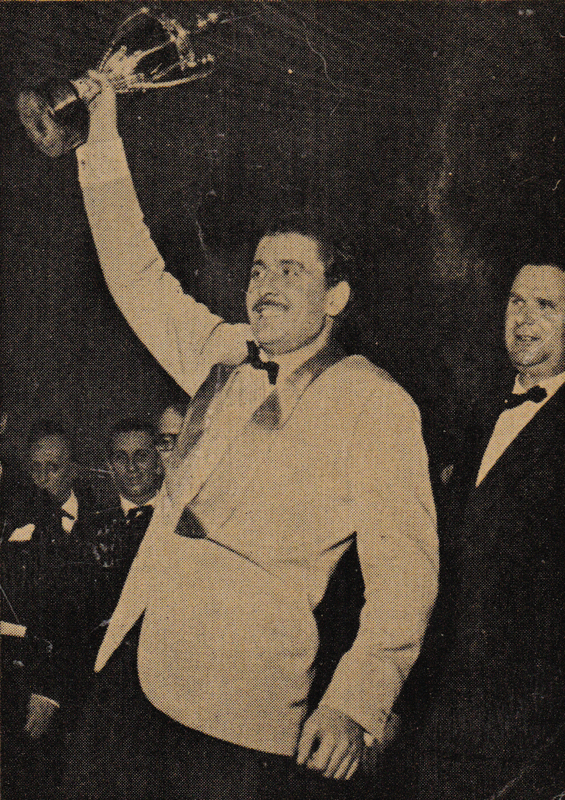 Italians had a thing for incorporating rock´n´roll into the orchestra sound. I own a bunch of similar Italian records like this one. 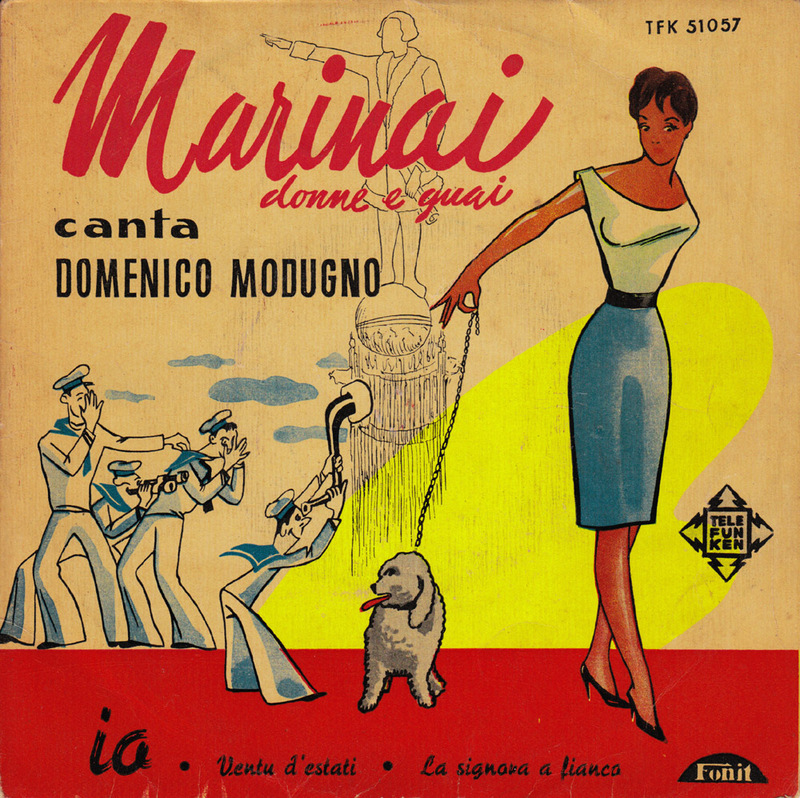 Marinai donne e guai apparently is a song from a Italian film. 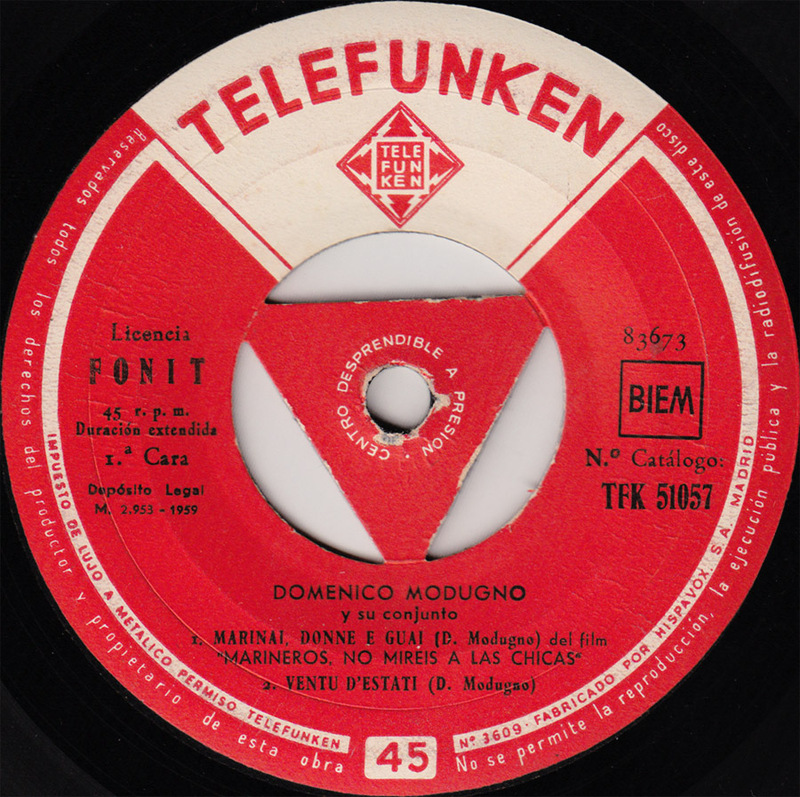 This is a Spanish Telefunken release licensed from the Italian Fonit label. “Sailors on the quai, don´t look after the girls!”. Very nice cover, thanks for the large scans. Look forward to hearing this.